Christopher Designs brings to you this compelling engagement ring that is designed to capture the unique characteristics of your love. Created diligently from 18k white gold, model number 88R-EC100 is the perfect ring to start your future together. Boasting a beauteous Emerald shaped diamond as the center stone which is artfully kept in place with a Prong setting, this Sidestone engagement ring is a piece worthy of adulation. Further enhancing this ring are exquisite Trapezoid, Round cut diamonds that cascade 1/2 way down the side of the ring in an elegant Prong, Pave setting. It is important to note that the center stone is Not included (sold separately). 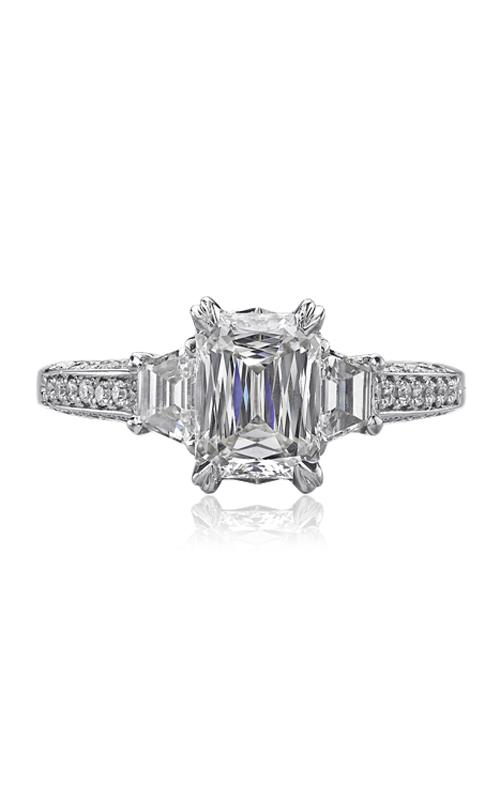 The ring can also accommodate the following center stone shapes: Princess, Asscher, Radiant, Cushion.